Wait.... Solveig and Jones together!! As some of you may know Europa has released their debut single 'All Day And Night' which features Madison Beer. 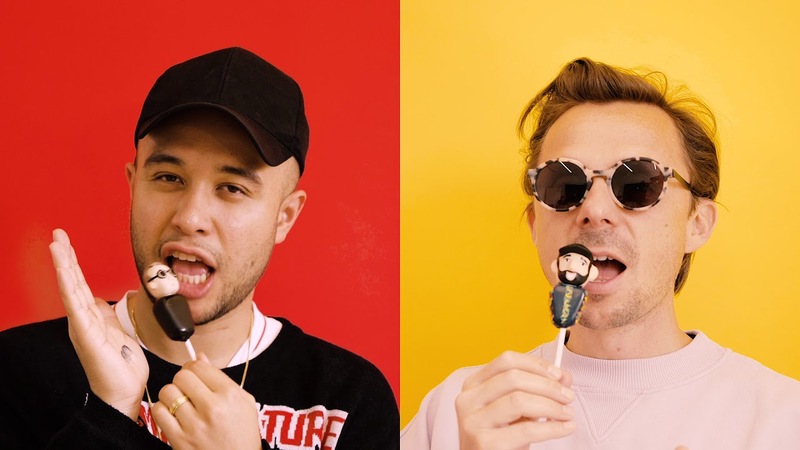 What is EUROPA you may ask, well EUROPA is just two friends, Jax Jones and Martin Solveig: two friends who do happen to be multi-platinum artists, who then pushed their-self to investigate musical avenues they wouldn't explore on their own. Europa is more pop music / pop-focused music and is larger than life combustion of many combinations, such as total freedom, unexpected twists and bridges, etc... Born from mutual admiration from when Martin and Jax set out in Ibiza, this was for a collaboration which had been said a lot of times for a long time, but it was only until Solveig decided to make the first Eurostar trip to Jax's studio over in London, which then made them realise they had something special and that the shape and spirit of Europa began to form. In the first ever Europa session, Martin came in and played a song with a bit of sax riff within it. One delight though or Europa is that it's a very secure project without any hard borders to come across, with the US Singer Madison Beer. Jax and Martin then went on to state "Europa has allowed both of us to step out from what everybody else might consider reasonable. Music doesn't have to be reasonable. You might even say it shouldn't be." Solveig continues to build his reputation by playing numerous illustrations festivals including Electric Daisy Carnival, Creamfields, S14 and even Lollapalooza. With the announcement of Europa gives a very impressive start to 2019!